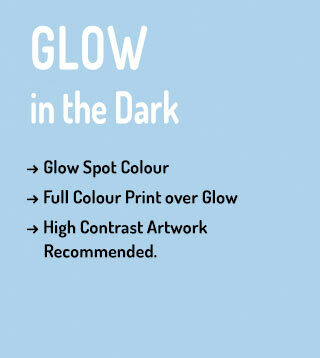 Glow in the Dark stickers use a special screen print ink. They can be printed in spot colours and full colour. Create high contrast artwork for the most dramatic effect. Contact us for options and pricing.